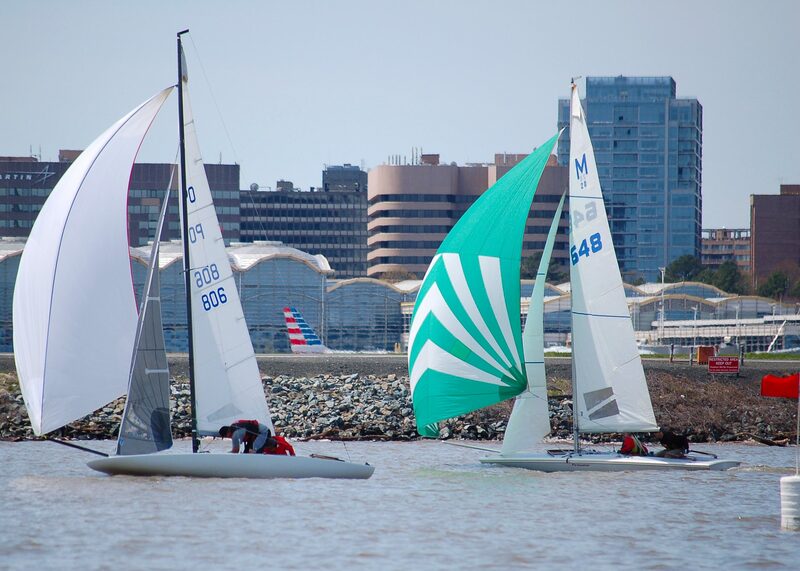 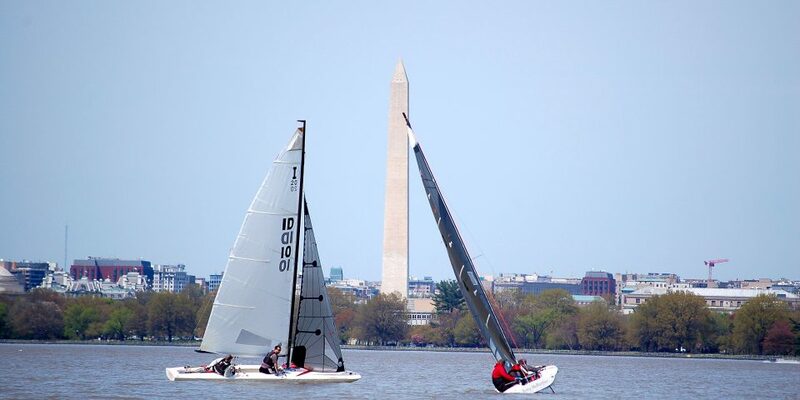 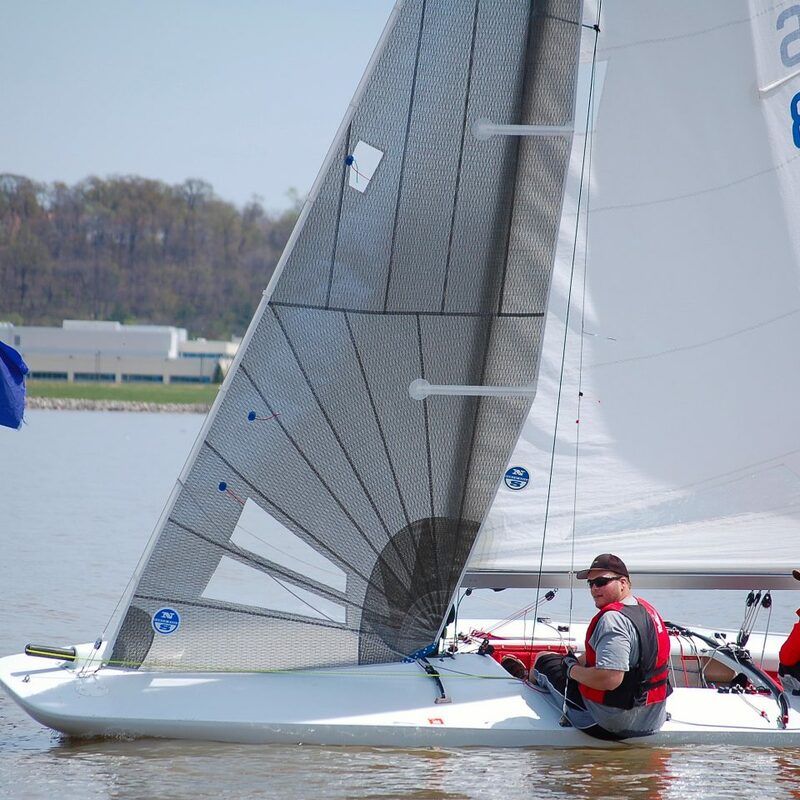 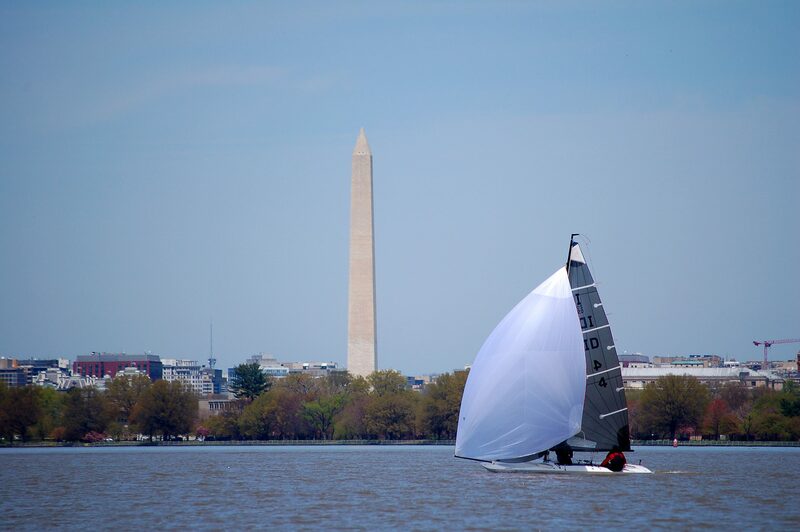 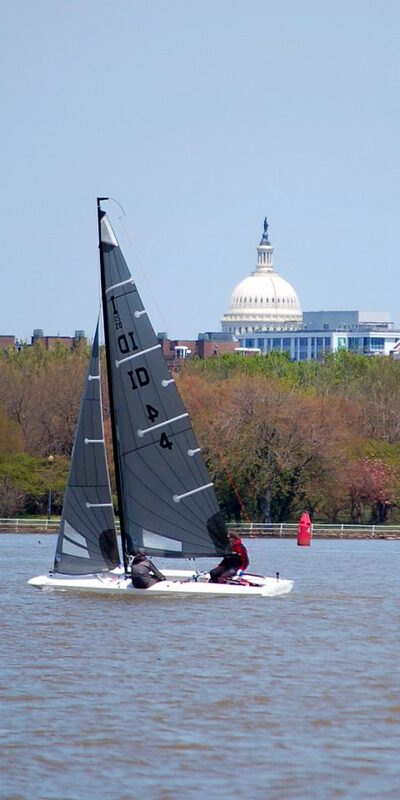 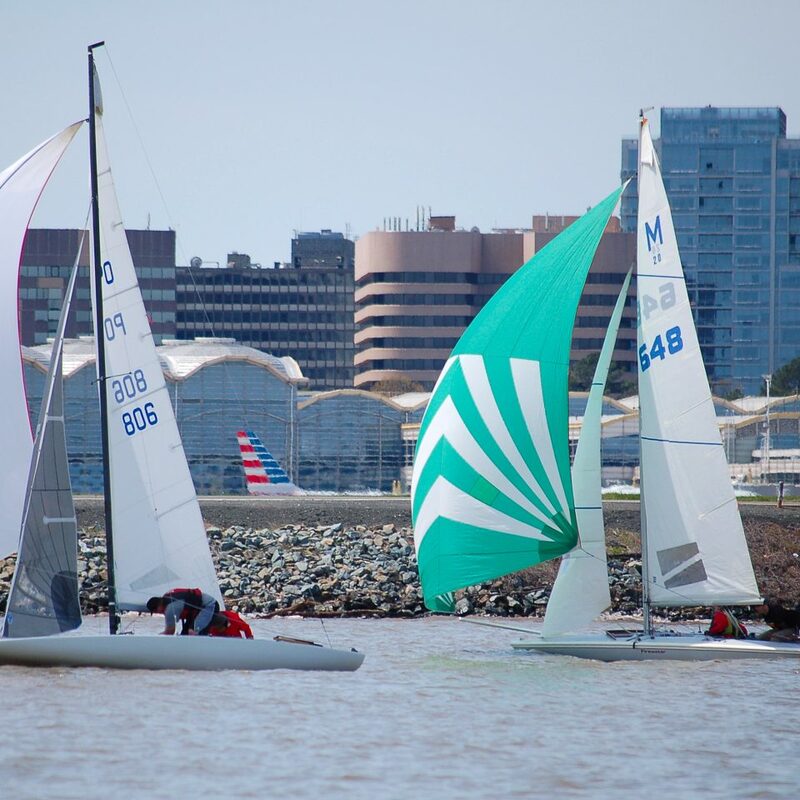 Joe and Cole Ewing of Ohio made it two wins in as many years, laying claim to the Cherry Blossom 2018 on the Potomac River with bullets in four out of five races. 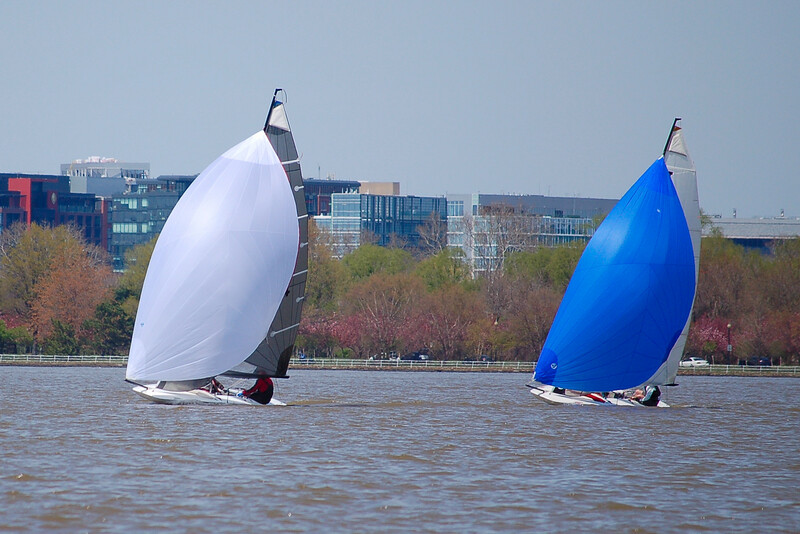 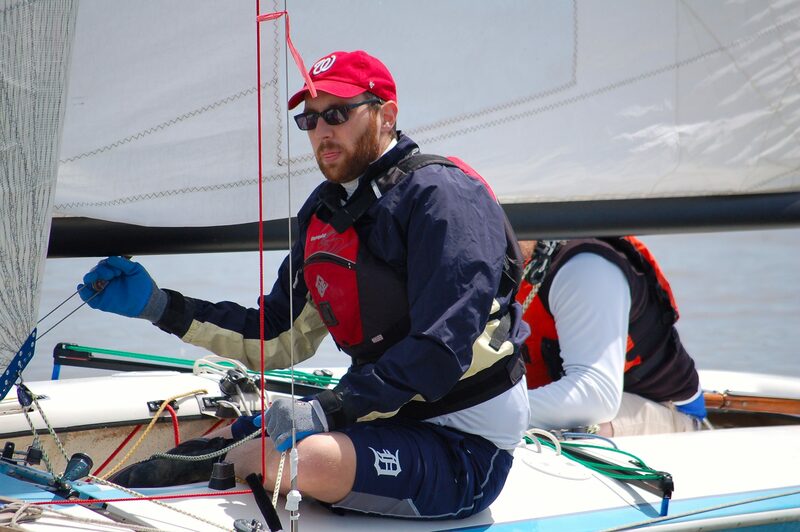 Indian Lake, OH nemesis Brook Patten was close behind, notching one win in race 3, with Jack Sheehan of the Potomac fleet finishing third overall. 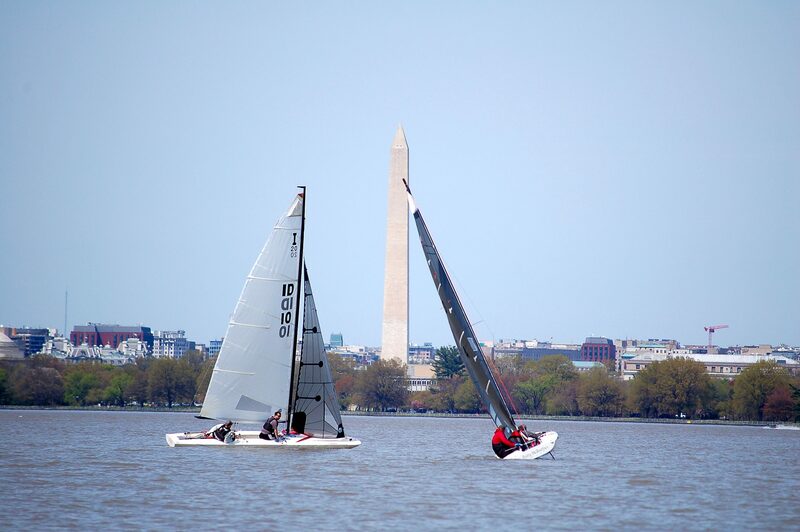 Light, swinging winds on Saturday, April 21, allowed Ewing to test his boat in conditions that frustrated many sailors. 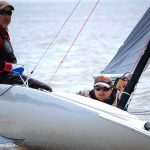 Ewing said he learned some hard lessons at the Inland 20 nationals in 2017 at Wawasee, IN where similar conditions relegated him to back of pack until the final day. 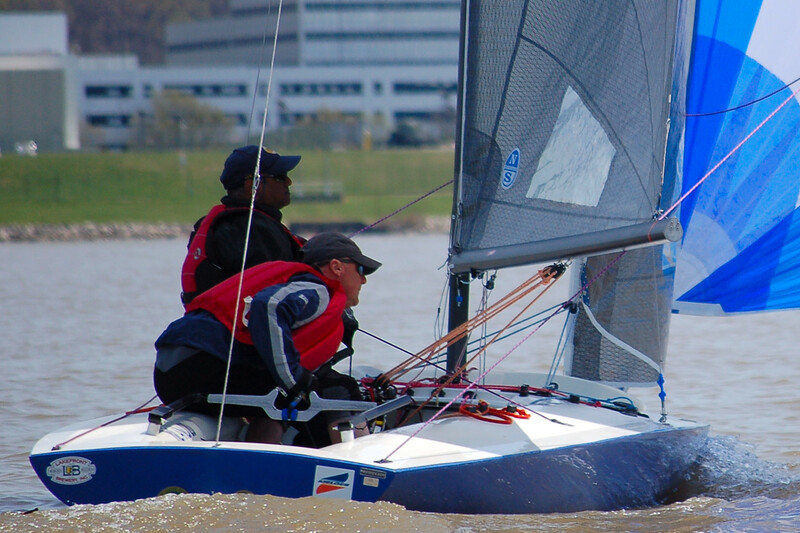 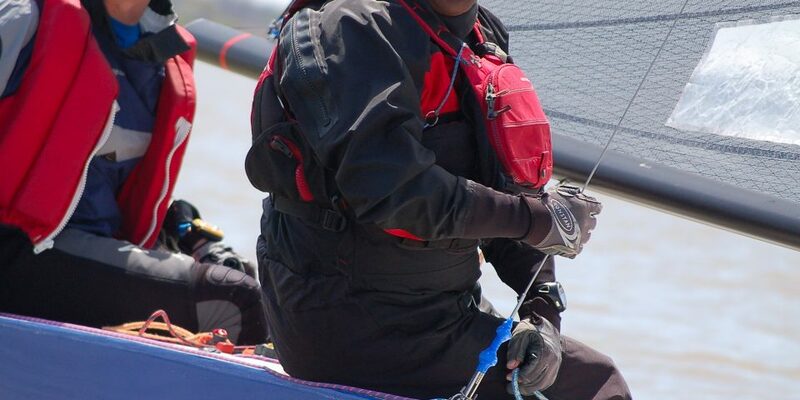 Ewing said he leaned his spar forward several inches, giving his boat substantially more speed. 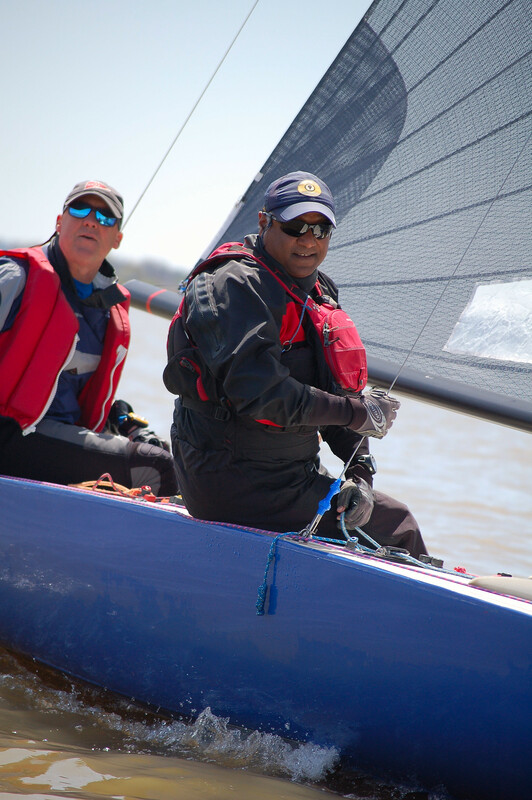 Team Ewing was also a frequent guest on the leeward rail, up and down wind, keeping their boat moving when flatter boats faltered. 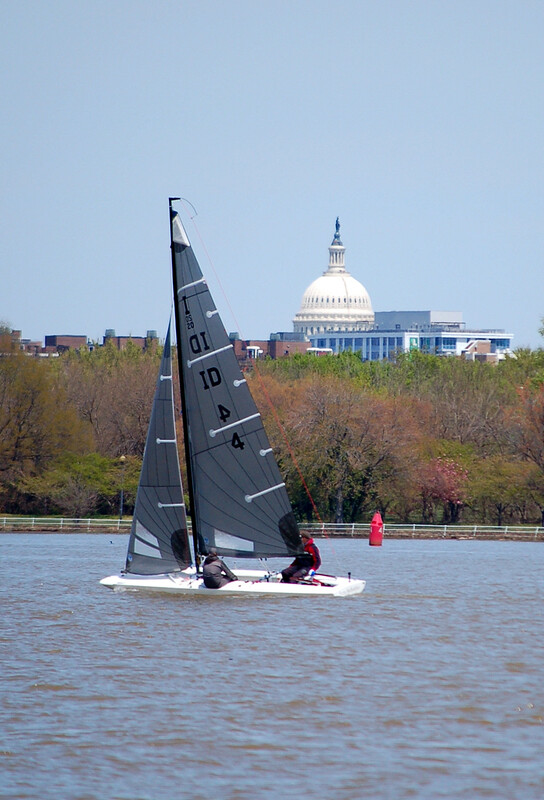 Visiting sailors had praise for the location. 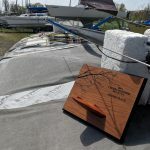 Sailors were also surprised with new “keeper” trophies three places deep this year. 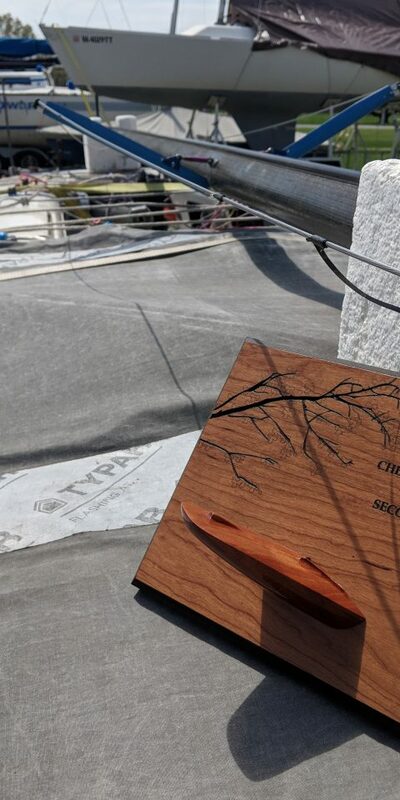 Manufactured by Rick Loheed’s company, Twisted Oyster Boatworks, with design help from Jack Sheehan, the trophy featured a CNC mahogany carving of the I20 hull protruding from a cherry plaque. 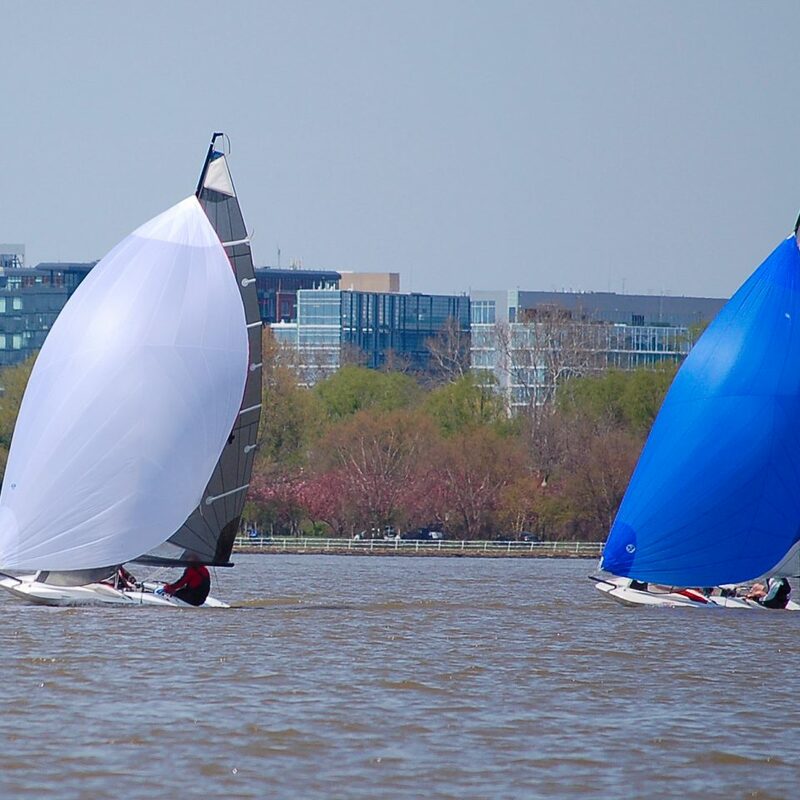 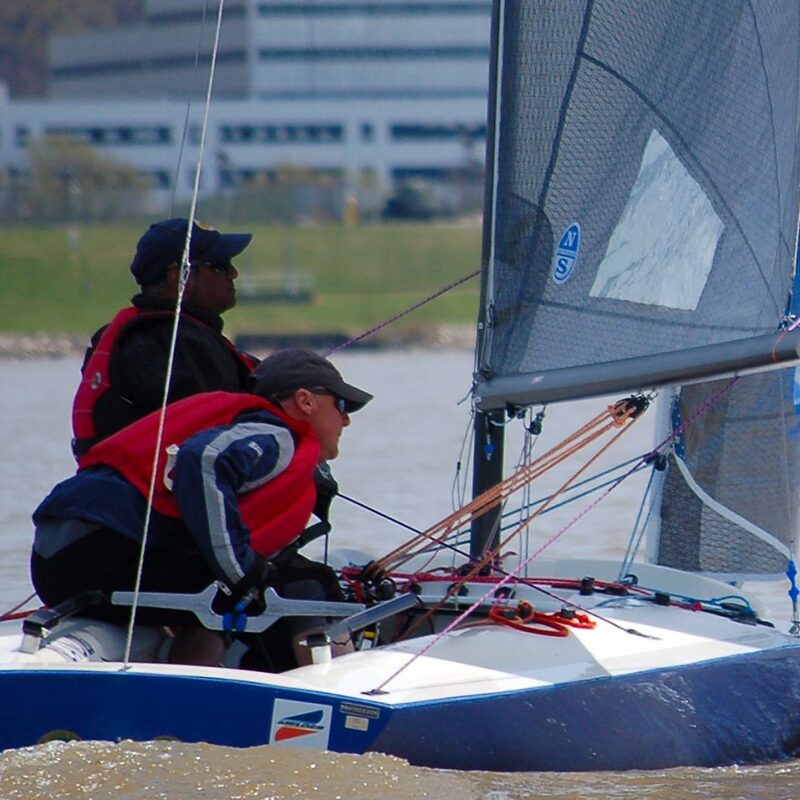 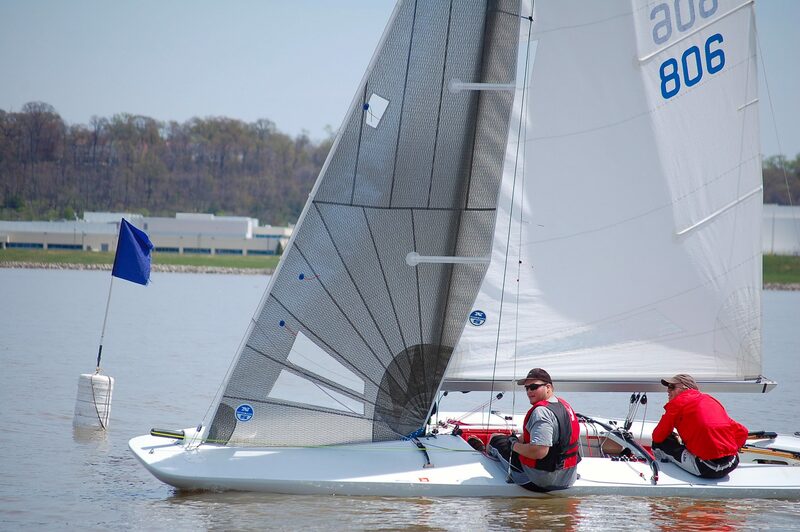 The I20 fleet on the Potomac owes a debt of gratitude to Aaron Boesenecker and Lightning Fleet 50 for running a flawless series of races. 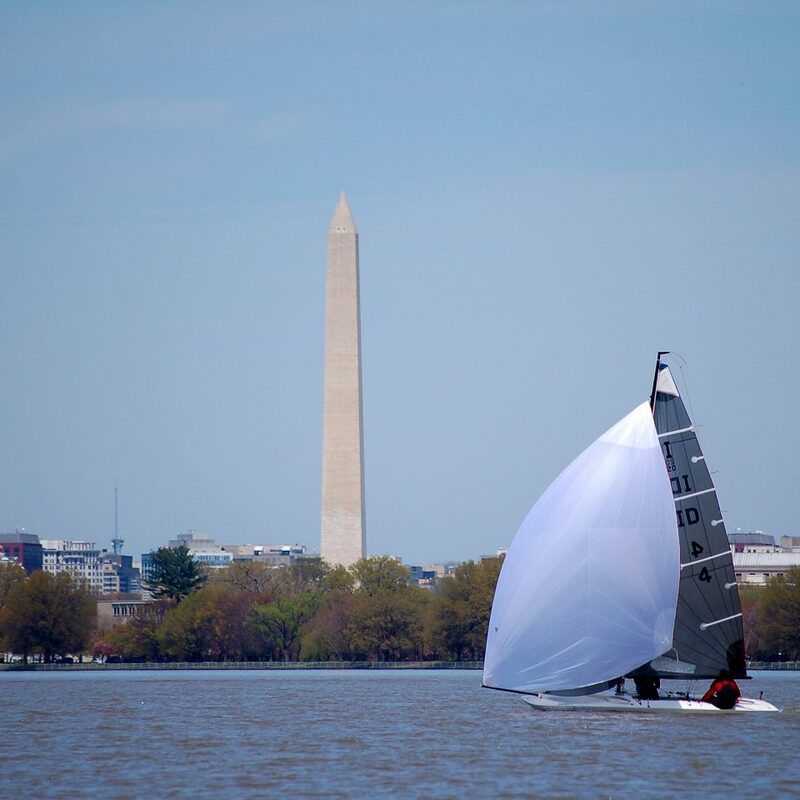 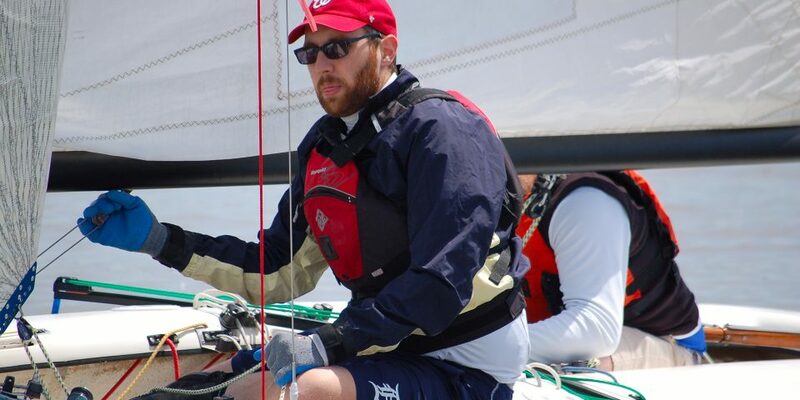 “Aaron has been a real advocate for our fleet and we are all grateful for his efforts on our behalf,” said Cherry Blossom race promoter, Stew Harris.